A physics education provides students with a valuable and flexible skill set that opens doors to a wide variety of career paths both within the traditional academic or research fields and within industry. In fact, the majority of physics graduates will move into careers that they may never have imagined as they pursued their physics degree. Unfortunately, unlike other professions, these non-traditional jobs rarely carry the word “physicist” in their title, making our profession one with a large group of “hidden physicists” out in the world making a difference. Check out our poster below … can you “Spot the Physicist”? The Canadian Association of Physicists and the CAP Foundation are committed to raising the profile of the physics profession. We want all physics graduates, regardless of where their training takes them throughout their career, to proudly identify themselves as “Physicists working as ….”. We want our youth, their parents, and their teachers, to recognize that a physics training will provide a strong baseline of skills that can be applied to a myriad of career paths. Physicists are highly sought after employees; many companies that have hired physicists look for physics graduates when future jobs become available. 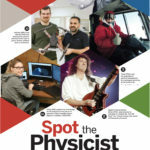 Can you “Spot the Physicist” in the first of our Careers posters? We invite you to visit the CAP Careers website for more information about this exciting profession as well as to see profiles of physicists from all levels of training (BSc, MSc, PhD) working in a variety of career paths. 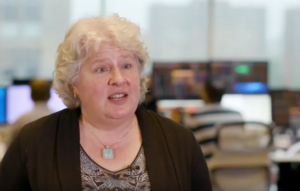 In May 2017, we launched a program to create video interviews with a variety of physicists in various careers. We also created and distributed the first in a series of careers posters to high schools across Canada. Click on the poster image to see and download the first of these posters. The CAP has created a job posting Board. We invite employers across Canada who have jobs that can be filled by physics graduates, or physics students, to post information about their job openings on our website. For a list of jobs that are currently posted, please visit our employment opportunities page.